While doing research earlier in the year for my Maro Project, I came upon the photo above. At the time, I didn't make the historical connection. 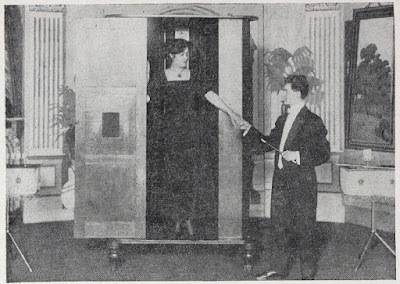 The photo is of magician John Grdina standing with a Production Cabinet built and used by Edward Maro. He purchased the cabinet from Mrs. Maro after the death of her husband. The photo appeared in the Linking Ring and actually has caption underneath that is incorrect. But one thing it did say was that the cabinet was sold to Houdini. Houdini was a collector, so at first I didn't think much of this other than to say it was the only connection I could find of Houdini to Maro. But then today I discovered a very small mention of the cabinet in the May 1962 issue of MUM. 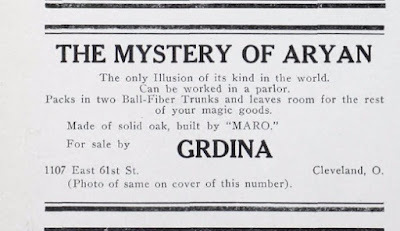 In the article on John Grdina, it says "He loaned Houdini his 3-sided Maro Spirit Cabinet, which you might have seen presented had Houdini lived for another season." I think the cabinet that Leslie Guest in the MUM article is speaking of is Maro's The Mystery of Aryan Illusion, which is the cabinet in the photo above. The cabinet above is a production box. Here is how John Grdina used it according to the Oct 1960 issue of The Linking Ring. 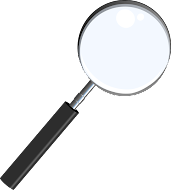 "He opened his act by producing his wife from the cabinet after first showing it empty." In that same paragraph it says "He later sold the cabinet to Houdini." Because of how deceptive this illusion is, it can be presented as a spirit cabinet. In fact, Maro may have presented it that way, which would explain the square fabric window in the middle of the door. Maro was known for presenting a lot of spirit effects in his shows. I have not been able to find a photo of Houdini with the cabinet, but two different references to Houdini and the cabinet are enough for me to believe he got this for his 1927 '3 In One Show' Tour. Whether or not he purchased it or it was on loan, I don't know because there are conflicting accounts. 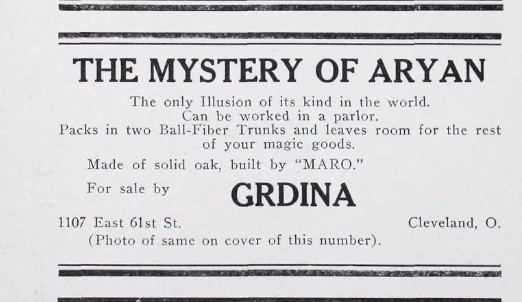 But I do know Grdina was trying to sell it as he had placed numerous ads in magic periodicals trying to unload it. He was apparently trying to downsize his act and go to a more portable and practical type of act. Below is an ad that appeared in the Feb 1913 issue of The Sphinx. Thanks Dean! Great stuff! Quite right that HH might have owned this and had it ready for 1927. It looks big and clunky, but that was par for the course in 1920s illusions. 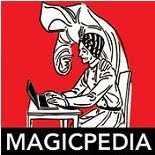 If the comment about it being 3 Sided is correct, it's possibly The Triangle Illusion that is featured in The Great Illusions of Magic by Byron Wells.